RAWALPINDI: According to a statement issued by Inter-Services Public Relations (ISPR) on Friday, the death toll from Indian firing across the Line of Control (LoC) on Thursday has mounted to six. The six martyred civilians include four women. In addition, 26 people including fifteen women and five children were injured along the Working Boundary (WB) in Charwah and Harpal sectors. DG ISPR Maj Gen Asif Ghafoor on Friday morning also tweeted a picture of the injured victims being treated. Four citizens including two women were killed on Thursday in an incident of cross-border firing along the Working Boundary (WB), according to a statement issued by ISPR. “Indian border security forces resorted to unprovoked firing of mortars targeting civilians along the Working Boundary in village Bini Sulariyan in [the] Charwa Sector,” the ISPR statement said. Pakistan Rangers “befittingly responded on posts targeting [the] civilian population,” the statement added. Prime Minister Shahid Khaqan Abbasi has strongly condemned the incident expressing grief and sorrow over loss of innocent lives. In addition, Punjab Chief Minister Shehbaz Sharif and former president Asif Ali Zardari also condemned the killing of innocent civilians. The Punjab chief minister directed Sialkot district commissioner to establish relief camps for inhabitants of border villages who are forced to migrate towards safer areas as a result of Indian firing. 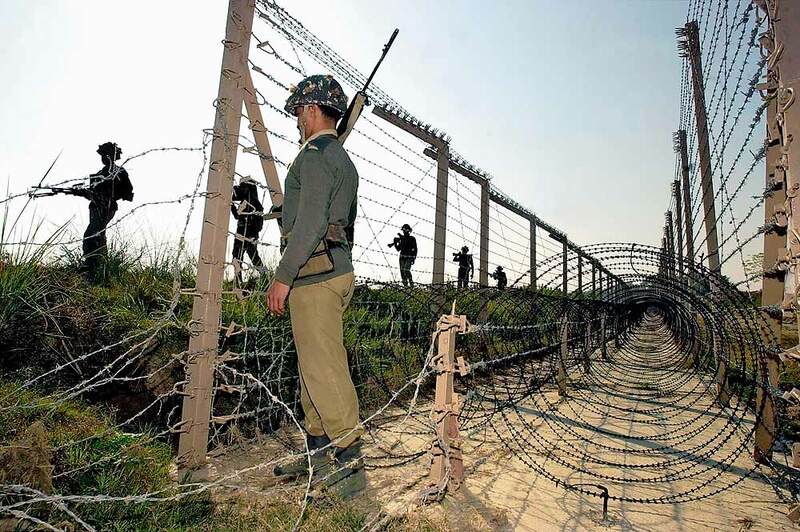 Punjab Rangers Director General Major General Azhar Naveed Hayat Khan visited the Harpal and Charwa sectors of the border on Friday, where the unprovoked Indian firing took place on Thursday night. Khan met troops and lauded their befitting response, said the ISPR. He also visited the families of victims of recent cross-border firing incidents. Later during the day, Indian High Commissioner Gautam Bambawale was summoned to the Foreign Office to record a protest over the incident. The envoy was given a charge-sheet by acting foreign secretary Aitzaz Ahmad highlighting the killing of innocent civilians which is in blatant violation of the international law. It also called for an immediate stop to cross-border shelling. It is crucial to note that the heavily militarised LoC and WB have witnessed sporadic skirmishes and artillery duels since the alleged Indian ‘surgical strike’ last September, in violation of the 2003 Ceasefire Agreement signed by both countries. A five-year-old girl was killed in Azad Jammu and Kashmir earlier this month when an Indian soldier opened fire across the LoC. The orphan was killed when a single bullet by an Indian soldier hit her as she stood in the courtyard of her house in Polas village of Abbaspur sector in the southern Poonch district. Protests were held in the area against the “apathy of the state and the government towards the plight of the people living along the LoC” after the incident.